Learn to make a wreath that’s fit for a hawt Aussie Christmas! Perfect for decorating inside or out, this modern yet rustic beauty will age gracefully in these sweltering temps! Using eucalyptus and native flowers, you will learn to make a festive and fragrant wreath to hang about your house to help you ring in the holiday season! Mim is the humble founder of Aurora Floral Studios. 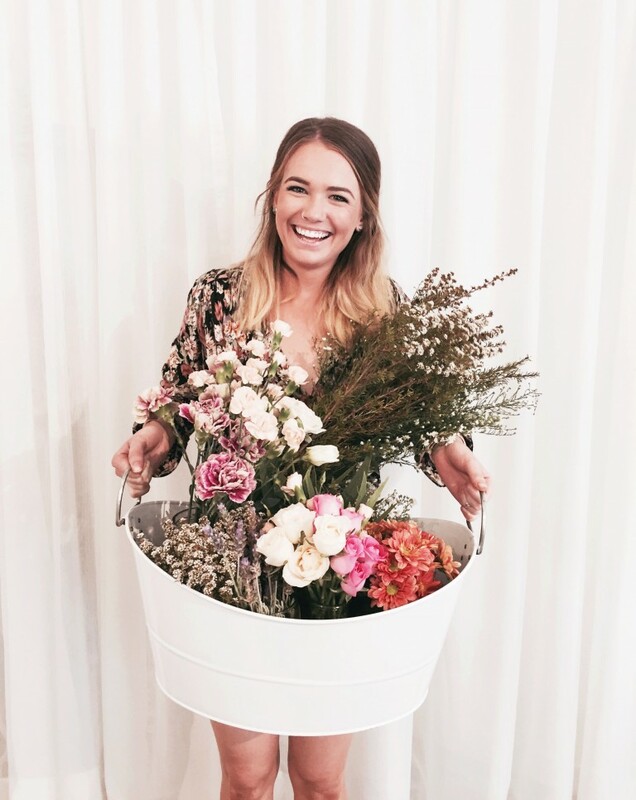 Mim recently made the leap from cafe owner to florist, immersing herself in a career that fuels her admiration for the natural beauty of blooms. As a child, Mim would make wishes on dandelions, pick wildflowers from the side of the road and make magic potions from the flowers that spilled over her neighbours fence. Mim draws on this aesthetic with every arrangement she creates. Each one beings as a blank canvas, forming it’s own personality and telling its own story.